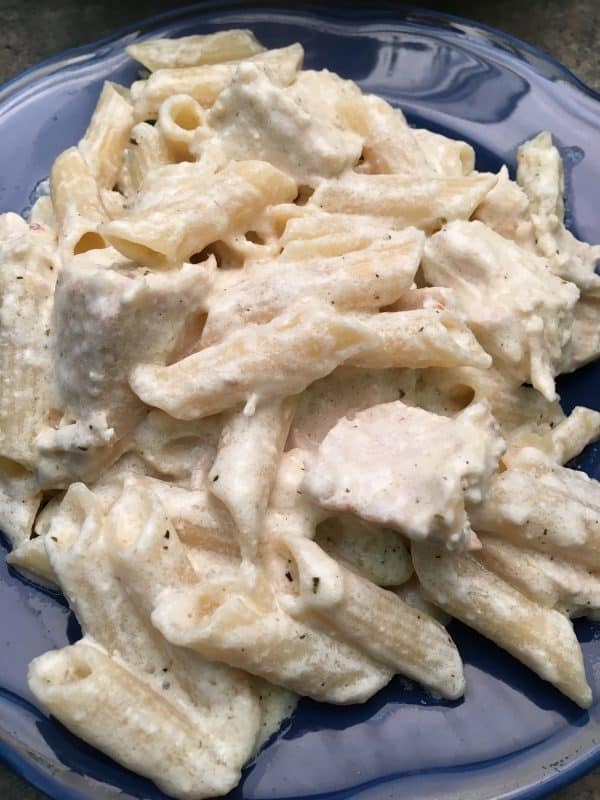 Chicken and Noodles with Homemade Alfredo Sauce is a rich and creamy meal that is filling for the entire family. My youngest son, Ethan, is in middle school and the math is getting a little tougher. And, to be honest, I am not strong in math. At all. So, helping him is a bit of a struggle for me. I am tempted to tear myself down and dwell on the fact that I am bad at math and that I cannot help him. It’s frustrating as a mom that I can’t explain to him how to do a math problem. But, instead of dwelling on the negative, we search for the positive. He has a brother and a grandfather that are really good at math. It gives Ethan a chance to rely on others and an opportunity to learn from his brother and grandfather. There are times when we have a hard time getting past the negative. It’s in those times we have to find the good in the situation. 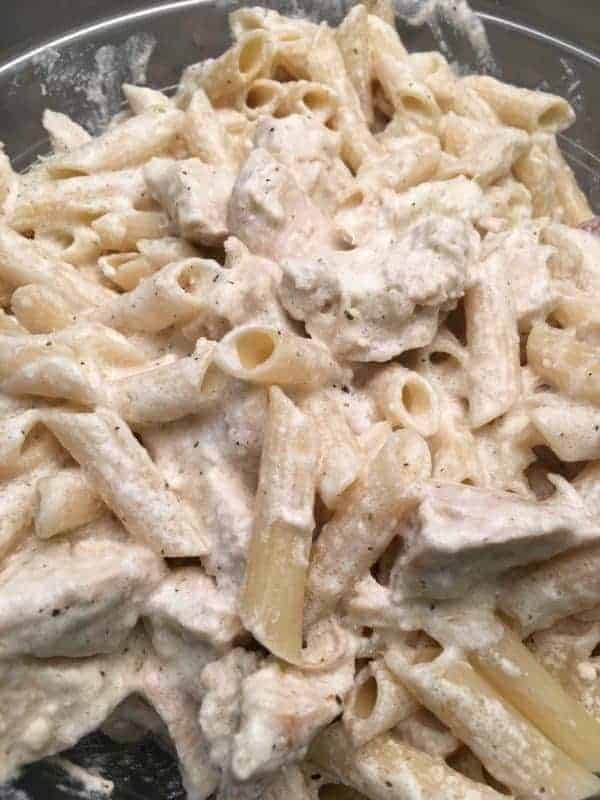 What does this have to do with chicken and noodles with homemade Alfredo sauce? A lot. There is math in cooking. I’ve mis-measured plenty of times. 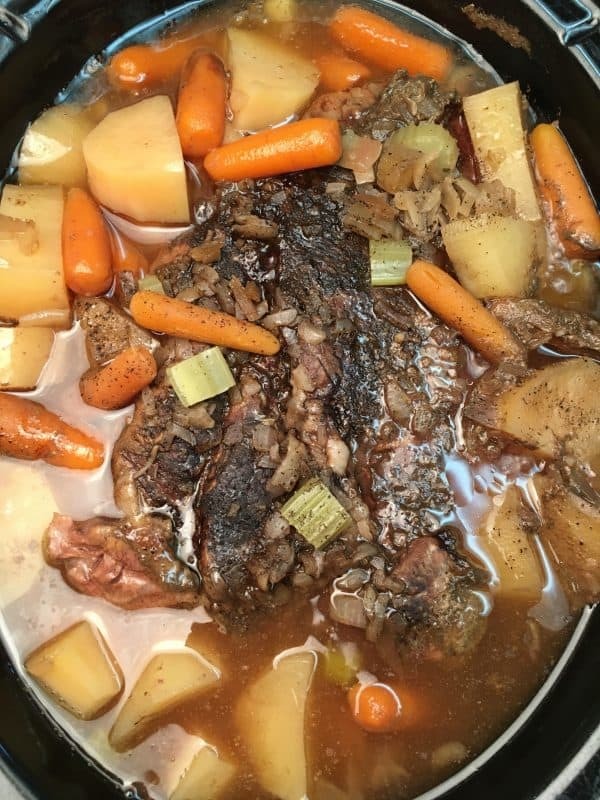 And, if the recipe didn’t turn out right, I learned from the experience. I might not have enough parmesan cheese to add to the Alfredo sauce, but then come to find out, it still tastes pretty amazing. So, keep on searching for the good in those times when you struggle. You’ll be surprised at what you find. Chicken and Noodles with Alfredo Sauce is a creamy, delicious, and budget-friendly dinner. Prepare the noodles (according to the directions) while you start the sauce. After the noodles are finished cooking, add to a large mixing bowl and add one tablespoon of butter to keep the noodles from sticking. You can also use gluten-free noodles with this recipe, as well. I used them this time, and the dinner turned out delicious! 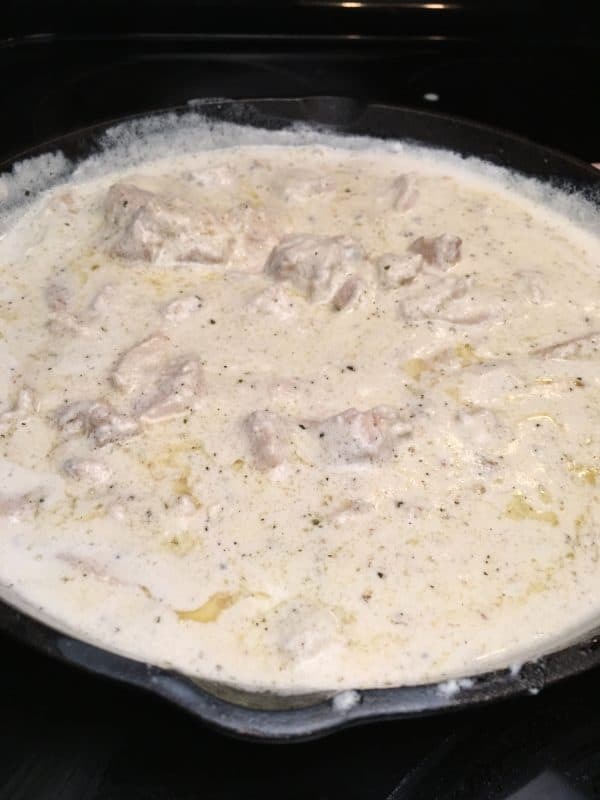 Prepare the Alfredo Sauce and add the cooked chicken. 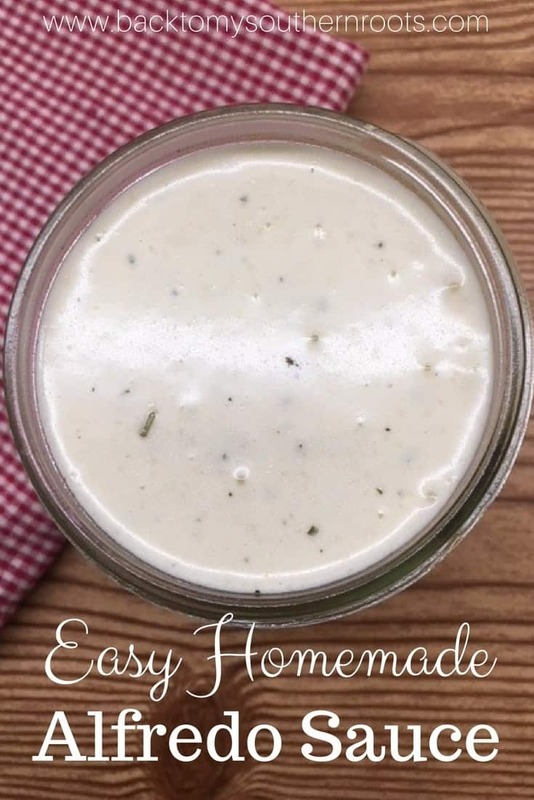 Click here for the recipe or see below. Allow the chicken to simmer in the sauce for at least 5-7 minutes to heat up. Pour the sauce over the noodles and stir together. Serve the pasta with some garlic French bread on the side for a delicious and budget-friendly meal. Cut up the chicken breasts and set aside. 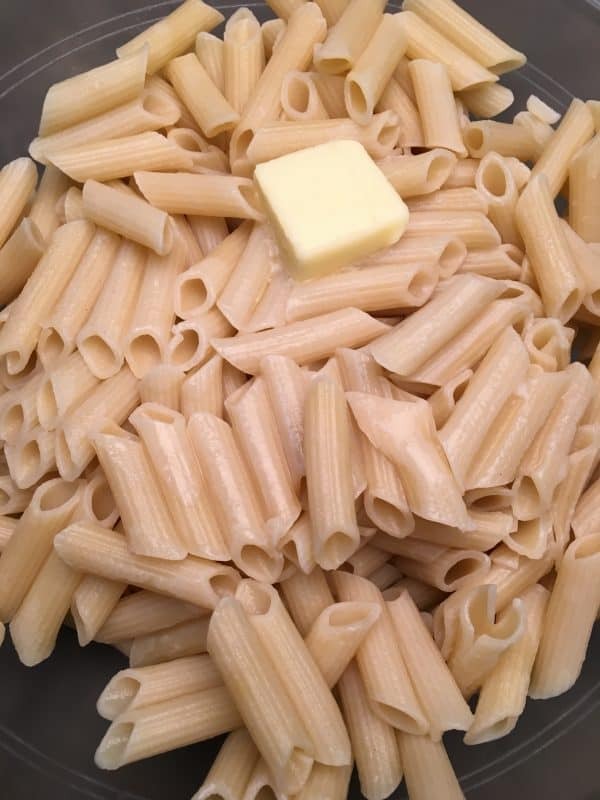 Melt the butter in a medium-sized saucepan or skillet. Add the heavy whipping cream and cream cheese. Melt the ingredients while stirring on medium to medium-high heat. Add the Italian seasonings, garlic salt, salt, and pepper and mix. Add the parmesan cheese and stir until well blended. Add the chicken and stir to cover. Simmer for 5-7 minutes minutes until chicken is heated through. Stir occasionally. Pour over noodles and stir. The red velvet cheeseball on your site looks absolutely delicious! !